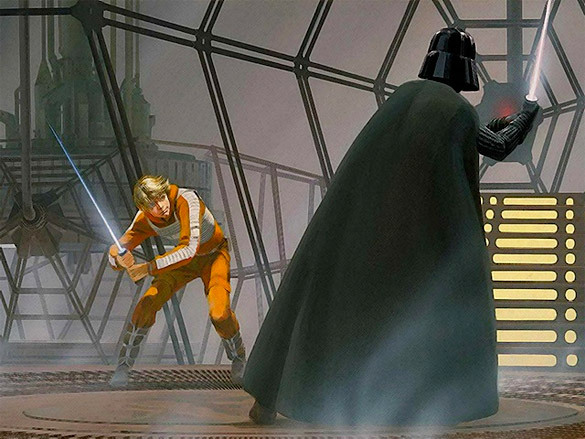 Really sad to hear of the passing of one of the best conceptual artists to have ever lived, the great and imaginative Ralph McQuarrie. 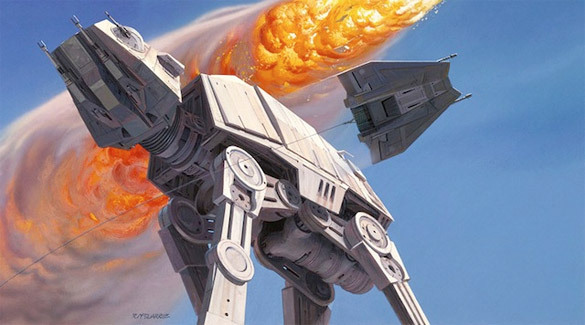 Like so many people of my generation, we grew up in the world of STAR WARS. Back in the early 80s STAR WARS was as important to boy of 5 as food and shelter. Me and my friends lived and breathed those movies and they were wonderfully inescapable. 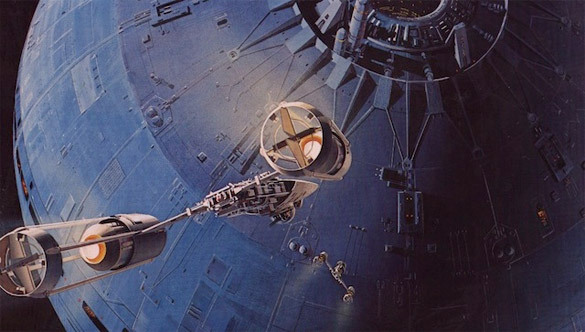 I remember waiting in line at the local Canex in Kingston, Ontario with my dad as he paid for something and watching the Electronics department as every television set showed Luke blowing up the Death Star. 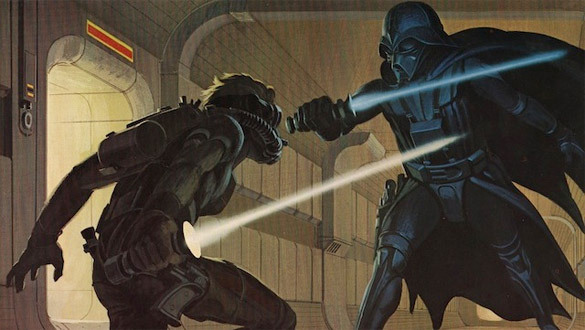 Where there was STAR WARS, there was Ralph McQuarrie. 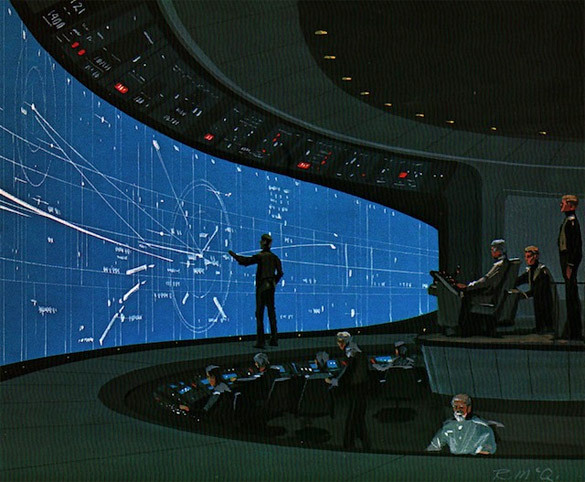 Way back when George Lucas was developing the treatment for STAR WARS, McQuarrie was the first person he hired to create conceptual paintings of what the movie might look like onscreen. He created the tone and design that would be saturated throughout those first 3 films. 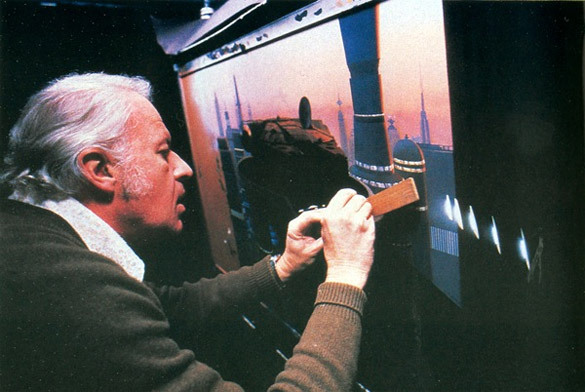 His influence was huge, and STAR WARS would never have been STAR WARS without Ralph McQuarrie. I know he did a lot more than just STAR WARS, but this is the stuff that means the most to me. 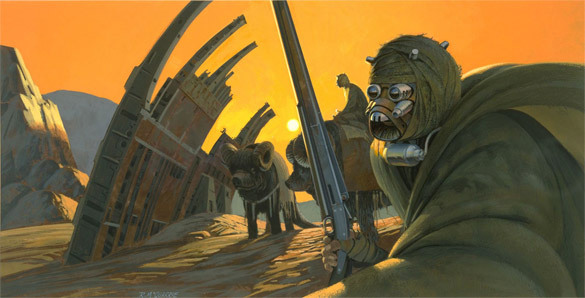 Ralph’s ability to conjure up characters, vehicles and worlds out of thin air is absolutely awe-inspiring. Every painting tells a story all its own. A master. Anyway, wanted to post a little thing to pay him tribute. He will be really missed, but his work and influence will live on forever. RIP Ralph. Thanks to Dave Howlett for the heads up on that EMPIRE trailer. Wow, these are awesome! Thanks for posting these! Admitting my nerdness, I just starting reading the expanded universe books…. Is there a good place to buy prints of those?